When we talk about sustainable destinations, we believe that it is important to offer the vision of both the public and private sector. With this in mind, today we bring you this interview with Ignasi Uñó Pérez, CEO and Co-founder of Twentytú Hi-tech Hostel Barcelona, a hotel certified by Biosphere and part of the Barcelona Sustainable Tourism network. Ignasi tells us, among other things, why the hostel management decided to be certified by Biosphere and the anticipated benefits, his opinion on the hotel moratorium implemented by the city’s new Lord Mayor, and which are, as he sees it, the major challenges that Barcelona faces as tourist destination. The “Be A Tourist in Your City” campaign allows local residents to enjoy the hostel at a low price and participate in group activities (Ex: Zumba classes, concerts, etc.). 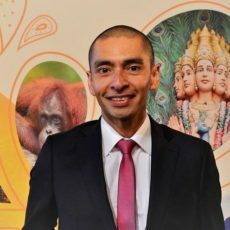 Ignasi, a few words about your professional background? I studied Industrial Engineering at the University of Applied Sciences in Barcelona, followed by a Masters in Urban Management. Since 2009 I have focused on developing my professional career in the field of real estate, urban planning and development, management, as well as construction and promotion of real estate assets, both in the tertiary and residential sectors. My real estate business focuses on the development of Innovat Hotels, a new model of urban accommodation (‘hostel’), which combines aspects of innovation, technology, and society. This is a very passionate work environment. I enjoy interacting with our guests and to ensure their comfort and happiness. In 2009 you co-founded Twentytú Hi-tech Hostel in Barcelona: What is the concept and philosophy of this venture? The hostel consists of 65 rooms, 55 quadruple and 7 double rooms, all en-suite. One difference compared to other types of accommodation is that it is possible to share a room that has a few common areas to enable a greater social environment. Approximately 17% of our clients travel alone, and therefore appreciate being able to interact with others during their stay. In terms of philosophy, we now understand that to meet our objectives, our guests, our neighbors, our suppliers, our staff, etc. – in other words, our whole environment – must evolve at the same time. We should all seize the pull of tourism, in this case in the city of Barcelona, and more specifically, in the area of Poble Nou District 22 where Twentytú is located. Innovation and technology allow us to be leaders in the management and maintenance of the building. While we put strong focus on technical considerations such as efficiency to reduce utility consumption, where we really see a big change is in the way to relate with our guests and offer them a meaningful experience, with concerts, gastronomic workshops, or tours to places of interest. With respect to energy efficiency, Twentytú was the first tourist accommodation in the city of Barcelona to obtain the highest rating. Why did you decide to be certified by Biosphere as a sustainable hostel and not by another certification? We were implementing many initiatives at the same time, most focused on responsibility and sustainability, and at some point realized that we needed to be able to follow a script in order to organize our ideas. Not only from the technological point of view, since there may be countless technical visits conducted in our building (we belong to, among others, Construction21, sustainable buildings chair that depends on UNESCO), but also developmental (agreements with BAU School of Design where students design part of our spaces), and social (working with foundation for child care, such as Saint Joan of Déu, Ires Foundation and Make a Wish). And who would be better suited to help us with this than the institution that had previously audited and certified the city of Barcelona! 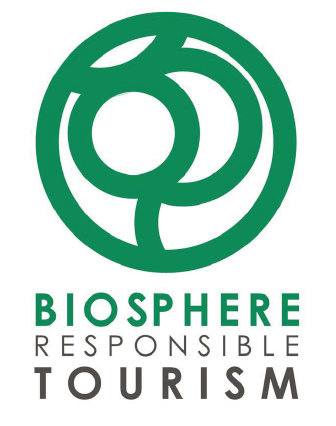 Therefore, for cohesion with the city to whom we feel committed, we decided for Biosphere Responsible Tourism. Catalonia as destination has also just received this certification – the first integrated territory to obtain it – so there is cohesion by adhering to the same standards and references. They are not quantifiable economically because we haven’t considered to look into the number of bookings associated with obtaining the certificate. We are much more interested in maintaining an operation focused on common sense and responsibility. We are not obsessed with reducing and managing consumption. For us, certification benefits are more subjective than economic. First, reputational. 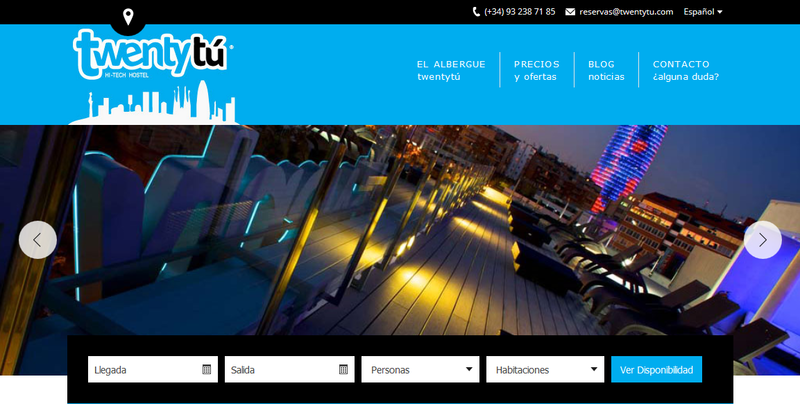 Twentytu Hi-tech Hostel Barcelona is the first hostel in the world to receive this certification and it has provided us with an unbeatable position, both at the level of agencies as well as individual customer demand. It has also positioned us as a leader in the various associations and platforms to which we belong. Second, the benefit that comes with knowing that all team members that manage the Twentytú, from administration to reception, maintenance, etc., carry out actions that are recognized and are well aligned. And many have an impact on the people! Third, to be able to use a ‘roadmap’ each semester that can be reoriented to objectives or opportunities that arise, but that reminds and ‘obliges’ us to meet challenges to which we have previously committed. And fourth, the certification has helped us develop a set of minimum conditions our suppliers should meet to improve the value chain of the service that we offer to our customers. Prior to Biosphere, Twentytú had already been certified by AENOR to ISO 50001, so we already knew the benefits of certification. How do you promote the hostel’s responsible and sustainable tourism practices? By giving this interview… for example! Mostly by actively participating in forums and groups linked to this topic, but not limited to tourism. 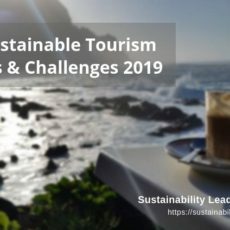 We are members of, among others, BST (Barcelona Sustainable Tourism), Barcelona +Sostenible, ITH (Technical Hotel Institute, and ASEAN Business 22@Network, basically assisting with innovation, enterprise and environment committees. We raise our clients’ awareness of the need to use resources efficiently (water, electricity) and to recycle waste by posting signs in rooms. We also promote transportation by bicycle and hybrid or electric taxi. Moreover, we display the awards and prizes in our lobby, such as the Best Green Hostel 2014 awarded by Hostelworld and the Green Hotel Initiative 2014 award by Stay Wyse. We were a finalist for Catalonia’s Responsible Tourism award (2014 Edition) and of the eeST Smart Accommodation 2015 award in energy efficiency and sustainability, awarded to the best Responsible Tourism entrepreneur. In addition, we attend to and give presentations to many trade visitors interested in our model. How does Twentytú engage with the local community? By giving university students, entrepreneurs or other groups space, sometimes even subsidizing the accommodation so that the activities occur in our hostel. We have agreements with universities whose students can work on real cases and with real customers at Twentytú. We are part of the “rate solidarity” campaign and contribute to social organizations for every double room booking. We are in dialogue with various agents of our neighborhood to maximize the opportunities linked to tourism (for example guided visits to companies, joint actions,..). And we promote the Poble Nou Urban District by functioning as platform that brings together interests in art, culture, innovation, cuisine, etc. within our district. In your opinion, what are the greatest challenges that Barcelona tourism faces right now? Develop a governance model that doesn’t change criteria whenever there is a political or government staff change. In May 2015, a new party won local elections. One of the key issues during the election campaign was the need to control mass tourism in Barcelona. What do you think about the moratorium on hotels promoted by the new mayor? There’s a clear desire to limit certain excesses that have been detected for some time in the city and which, in some ways, may create a problem of coexistence for the citizens. But one thing is to manage them, and a very different one is not having more ability to grow, recognizing the interest and what it represents in terms of the economic growth of tourism in the city, directly and indirectly. My opinion is that perhaps the moratorium decision was somewhat hasty, at least in terms of the consequences. It doesn’t make sense to stop all investments, including those which benefit job creation, urban redevelopment, infrastructure, taxes, etc., in places far from the main tourism hot spots, such as the Old Town. We would have needed an initial debate and a clear identification of the sensitive points that create conflicts of coexistence. Also, the districts of Ciutat Vella, like Gracia or Poble Sec, which are the most affected by tourism activity, were already subject to restrictions in terms of growth. Let’s hope that, as has been announced, during the first trimester of 2016 things will get clearer regarding the city’s tourism growth potential, and future investments for hostels, hotels and student residences. Which initiatives would you implement if you were leading tourism management of the city of Barcelona? First, as has been done many times before, I would create a discussion forum to demonstrate and debate all of the implications of the tourism sector, with all those who may be affected by its consequences. I would introduce the parameter of tourism density in urban planning. 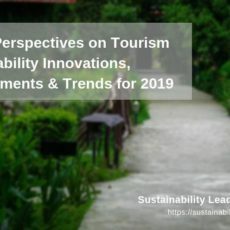 Actively promote sustainable and responsible tourism as a way to distribute the benefits to both the community and the territory, and generate more opportunities for those who want to take advantage of the momentum and transformation of the sector. I’d also improve and increase public transport links to the outskirts of Barcelona, and introduce new technology. Lastly, I’d increase inspections of accommodation and penalize those without a license, to incentivize quality. And accelerate the process of closure, if required. Connect with Ignasi Uñó Pérez on LinkedIn or visit TwentyTu.com to learn more. Enjoyed our interview with Ignasi Uñó Pérez of Twentytú Hi-tech Hostel Barcelona? Share and spread the word!